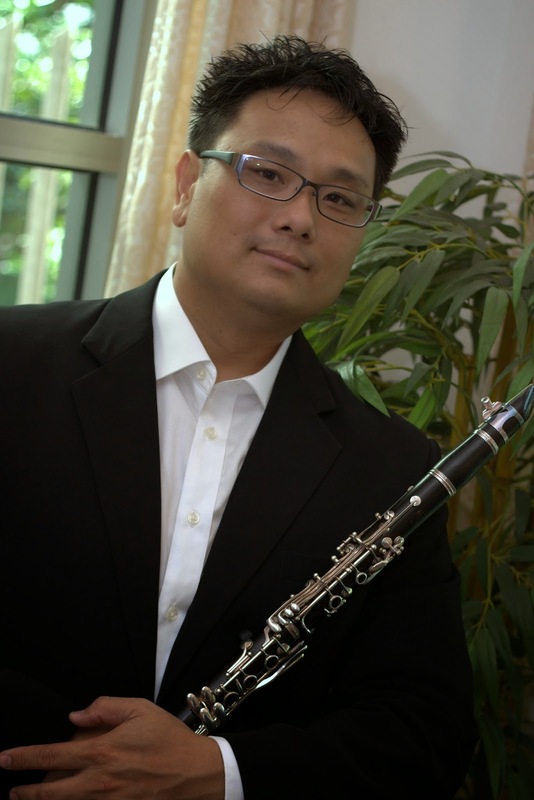 David Chin started studying clarinet at age 10, and graduated from Darwin High School in 1993 awarded the best musician in class. That year, David also won a Rotary scholarship to attend the Pan Pacific International music camp and subsequent tour of New Zealand. Although working as an environmental chemist since graduating in 1996, David has stayed actively involved with music. David has held positions of clarinet/bass clarinet and saxophone with the Darwin Symphony Orchestra from 1993 to 2001, premiering works from Australian composers such as Peter Sculthorpe, Ross Edwards and Nicholas Routley. This also allowed him to study with visiting clarinettists Alan Vivian, Mark Walton and Duncan Abercromby. Since 1992, David has also been a member of the Australian Army Band Darwin as a clarinet/saxophone/tuba player. Highlights included playing for HRH the Prince Philip as well as supporting artists such as Marina Pryor, Marcia Hines, Jimmy Barnes, Vanessa Amorosi, Guy Sebastian and Jessica Mauboy. During the 90’s, David was also a founding member of the Palm-erston Concert Band, Divertimenti Wind Quintet, John Young Sax Quar-tet and NTU Big Band. Prior to leaving his homeland to settle in Kota Kinabalu, in 2009 David was a founding member of the Hot & Cold Big Band, a unique group of local musicians who ‘rehearse’ on the gig, cul-minating in a full concert of swing music with the Australian Jazz clari-nettist Andy Firth. Since relocating to KK in 2010, David has been in-volved with the Jesselton Philharmonic Orchestra. David is presently the principal clarinetist for JPO. He will be playing the oboe solo part on his clarinet for the "Evening with Bach" on Saturday, 19 July at 7.30pm at the Sabah Art Gallery.